The 3M™ Cloud Library application is an innovative way to browse, borrow and read popular fiction and non-fiction eBooks from your local public library. You will need a valid library card to use the application. If you do not have access to a library card, please inquire at your local Fort Stockton Public Library to get one. Your library credentials will give you access to the thousands of titles available to you as a member of your local library. The 3M Cloud Library is the newest and easiest to use platform for browsing, borrowing and reading eBooks. Works with PC/Mac, iPhone, Android, Nook and Kindle Fire devices. For help downloading a 3M Cloud eBook go to the eBook Help tab above. Taking your driving test soon? Check out our new resource: Free Permit Practice Tests. 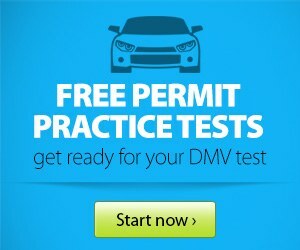 Includes 6 FREE practice permit tests to get you ready for your trip to the DMV! Mango is an online language learning system that teaches real conversation skills for practical communication. Through fun and engaging interactive lessons, Mango makes learning a new language fast, easy and incredibly effective. The system is completely web-based and remotely accessible, so you can learn anywhere you have an internet connection. As you listen to and repeat after native speakers, you'll learn more than just words and phrases. You’ll learn how those pieces can be rearranged and combined to make new thoughts, new conversations, and even more practical communication! In no time at all, you'll be able to navigate all sorts of everyday situations — get directions, order a meal, make new friends — the possibilities are endless! HERE IS A SINCERE THANK YOU FROM THE FORT STOCKTON PUBLIC LIBRARY TO THE FOLLOWING SPONSORS. WITHOUT THEIR SUPPORT THE SUMMER READING PROGRAM WOULD NOT BE POSSIBLE. THERE WERE OVER 400 CHILDREN, YOUNG ADULTS, AND ADULTS THAT PARTICIPATED. THOSE PARTICIPANTS WHO COMPLETED THE PROGRAM RECEIVED PRIZES. THESE PRIZES INCLUDED: PIZZA & MOVIE NIGHT, A FREE BOOK, BOOK BAGS, STICKERS, BOOKMARKS, AND PENCILS. THEY ALSO RECEIVED TREAT CERTIFICATES FROM DAIRY QUEEN, SUBWAY AND SONIC DRIVE-IN. THE 39 ADULT PARTICIPANTS SUBMITTED TICKETS WITH A CHANCE FOR WEEKLY DRAWINGS FROM THE LOCAL BUSINESSES LISTED BELOW. WE ALSO WANT TO THANK THE FRIENDS OF THE LIBRARY GROUP FOR THEIR SUPPORT. THANKS FOR ANOTHER GREAT SUMMER READING PROGRAM AND WE LOOK FORWARD TO YOUR CONTINUED SUPPORT!